This event will take place on July 19 - 21, 2018 in Washington DC. It will start with Youth Climate Lobby Day on July 19th. This is a day when young people will assemble on Capitol Hill to deliver their demands to politicians. Zero Hour is calling for the immediate implementation of a science based climate action program. On July 20th art builds will take place around the DC area. They will prepare for the march by creating signs and banners. This event will celebrate both the movement and our planet while building community and combating hopelessness. The Youth Climate March will take place on July 21 in Washington DC. At 9:00 AM marchers will assemble at 120 Constitution Ave NE, Washington, DC. They will then march to the National Mall and deliver the demands to politicians. 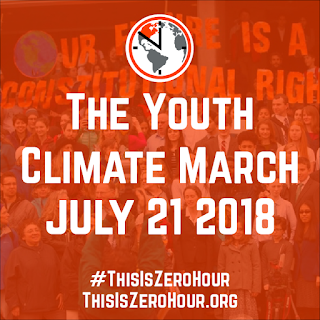 They will rally and highlight the voices and stories of youth on the front lines of the climate crisis. 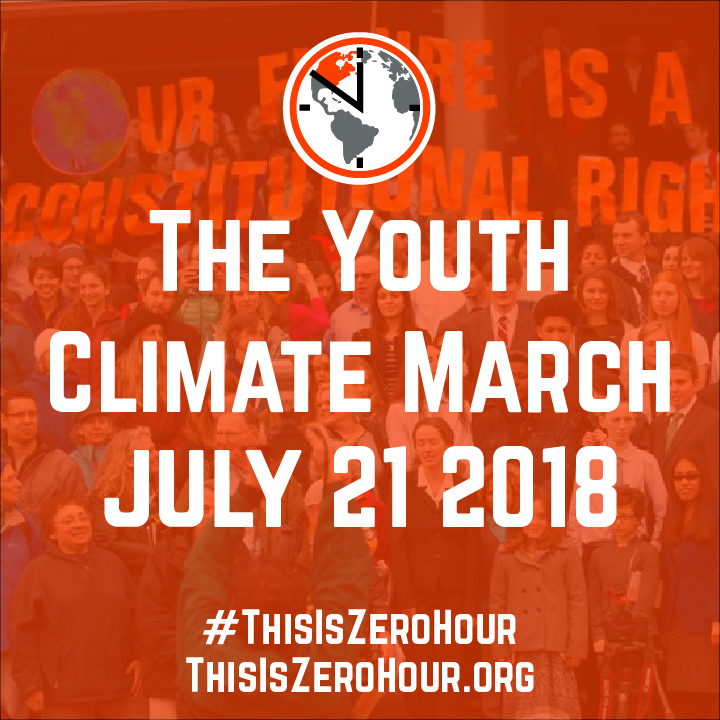 Then, they will flood the streets as a demonstration of youth power and show how #ThisIsZeroHour to act on climate change. Sister events will take place alongside the three days of scheduled events in Washington DC. People are hosting community climate actions starting with a Lobby Day on July 19. On this day people are encouraged to meet with local elected officials to communicate the urgent need for climate action. On July 20th people are staging local art builds where communities will come together around art projects focused on climate change. On July 21 sister marches are scheduled to take place across the country. For information on sister marches or to register your own march click here. To RSVP for the DC climate march click here.